The Movie Poster »Cleopatra« for the Movie »Cleopatra« from Director Joseph L. Mankiewicz, Rouben Mamoulian on CAFMP – Central Archive for Movie Posters. Poster »Cleopatra« from movie »Cleopatra« on CAFMP - Central Archive for Movie Posters with the star Elizabeth Taylor and Rex Harrison and Richard Burton on it. 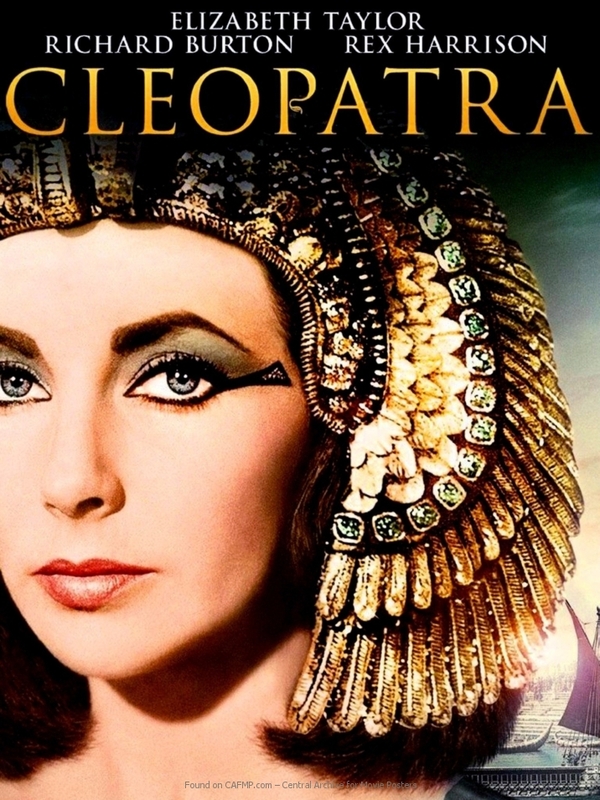 Bitte beachten: Sie bewerten hiermit nur das Filmplakat, nicht den Film »Cleopatra«. Auf diesem Weg können wir zukünftig die Höhepunkte eines bestimmten Jahres oder die Besten Plakate aller Zeiten veröffentlichen. If you found a mistake in our data for the Poster (Cleopatra) just send us corrections or further information with this form. This is NOT a comment form. For release comments to the posters scroll down. Studios: 20th Century Fox, MCL Films S.A., Walwa Films S.A.